The nation’s newest solid-fuel rocket lifted off Saturday and put a space telescope into orbit as planned, the Japan Aerospace Exploration Agency said. The Epsilon, Japan’s first new rocket in 12 years, blasted off from Uchinoura Space Center in Kagoshima Prefecture at 2 p.m. with the SPRINT-A planet-observation telescope on board, JAXA reported. 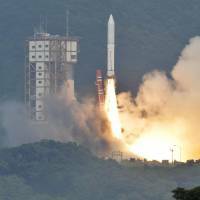 About an hour later, the SPRINT-A was put into orbit, JAXA spokeswoman Mari Harada said. Television footage of the blastoff showed the white, 25-meter pencil-shaped rocket spring off the launchpad with an orange flash and plumes of gray smoke. In a written statement, Prime Minister Shinzo Abe praised the Epsilon’s launch as proof of the high reliability of Japan’s aerospace technology. “I hope that this success will allow us to establish autonomy in the field of space transportation systems and trigger the country’s further development of space technology, which will lead to further economic growth,” Abe’s prepared statement said. The first Epsilon launch was originally scheduled for Aug. 27 but was postponed just 19 seconds before liftoff after a ground computer detected an abnormality in its posture. The rocket’s positioning was later found to be normal. As of noon, about 20,000 people had gathered in venues prepared by the town of Kimotsuki. The spectators included many families who had shown up for the earlier, aborted launch. The crowd cheered as the rocket shot into the sky. “I couldn’t sleep last night because I was so excited,” 8-year-old Yuki Saito from Hyuga, Miyazaki Prefecture, said before the launch. Saito said it is his dream to become an astronaut. The three-stage rocket is equipped with artificial intelligence and costs less to build than previous models. 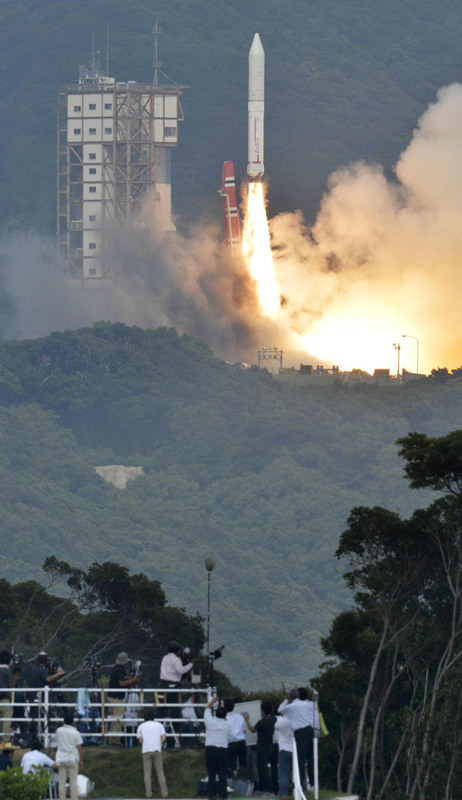 Standing just 24.4 meters high, it’s about half the height of Japan’s mainstay H-IIA rocket and weighs 91 tons. The Epsilon is the successor to the M-5 rocket, which was retired in 2006 due to its high cost. 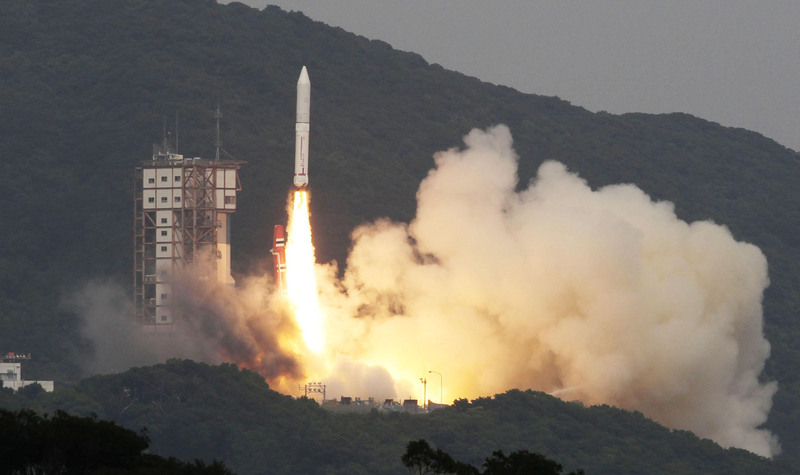 The M-5 counts the launch of the Hayabusa space probe among its successes. The cost of developing the Epsilon was reduced by making use of the H-IIA’s solid-fuel booster for its first stage. 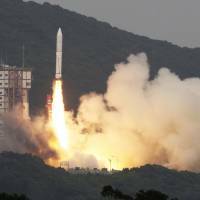 JAXA has halved launching costs by about ¥5.3 billion compared with the problem-plagued H-IIA and aims to lower it further to ¥3 billion. Among Epsilon’s unique features are its artificial intelligence, which allows it to conduct autonomous checks by itself, and a function called a “mobile launch control” that reduces the number of workers usually involved in a launch.